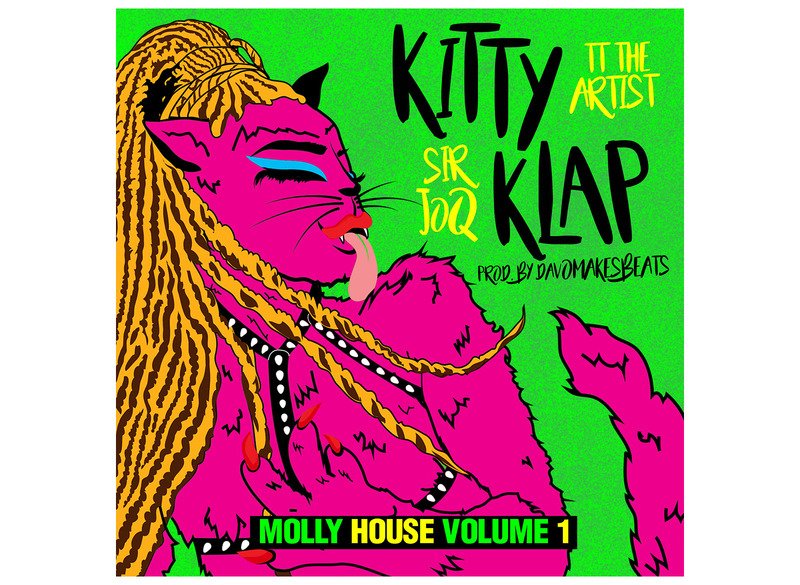 “Kitty Klap” is the new feline frenzied club banger from TT the Artist and Sir JoQ with Thump produced by davOmakesbeats. The frenetic “Kitty Klap” is the latest off of the “Molly House Volume 1” album, and our second peek into the wild Bay Area fête galante that is Swagger Like Us. Our first introduction to the scene was when we featured davOmakesbeats’s collaboration with Bbymutha on “Dark and Lovely.” Bbymutha’s track was danceable as a mutha, but her confident vocal style was relatively laid back. Or it least it seemed in a relatively mellow mood compared with the all-out Klap assault that TT the Artist and Sir JoQ treat you to on “Kitty Klap.” davOmakesbeats, of course, takes full advantage of the theme to go full throttle with clapping beats. It’s a totally new style of dance track, but you immediately know what do with it. The end result is: even if you’re listening to this at your desk right now, your kitty kat is gonna start clapping regardless. After hearing “Dark and Lovely” and “Kitty Klap” we are definitely ready for the Molly House release party coming this Saturday at the Elbo Room in San Francisco.